City, University of London, is exploring fresh approaches to creating learning experiences for aviation undergraduates through recent live-links between London and Auckland, combining web conferencing software and mobile apps. On 15th December 2016, Part 3 Mechanical & Aeronautical Engineering students on the Aircraft Reliability and Safety course (AE3311) were part of a live link-up with guest lecturer Ed Bigus in Auckland, New Zealand, facilitated by Adobe Connect technology. 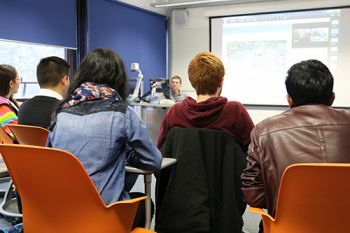 Bigus spoke to students earlier in the year on 15th April 2016, and, like his December lecture, drew on his considerable experience as a performance engineer and flight test manager with several airlines and aerospace companies including Emirates, Boeing and Honeywell. Dr Ivan Sikora, Senior Lecturer and Programme Director of the MSc in Air Safety Management is also the AE3311 course leader. He has been collaborating with Dom Pates, an Educational Technologist in the Learning Enhancement and Development (LEaD) department. Their novel approach to creating a learning experience for aviation undergraduates has been warmly received. 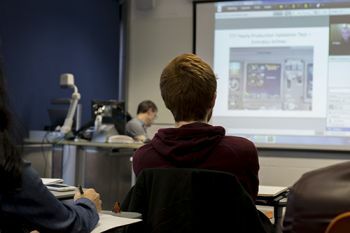 Responses from students range from the guest lectures being “good for seeing a different side of what we are taught in lectures”, to appreciating the “interaction with another expert who has experience in aviation”, to “having a great comparison of what we are studying with its direct application to industry”. On 25th January 2017, Dom Pates and Dr Sikora will be chairing the ‘Learning to Fly’ session at the next Bett Show. It will explore their successful experiences of hosting last year's live-linked sessions which utilised mobile apps and web conferencing software. The Bett Show (formerly known as the British Educational Training and Technology Show) is an annual trade show in the United Kingdom that showcases the use of information technology in education. Founded in 1985, it expanded to the National and Grand Halls at the Olympia exhibition centre in London, England, with a move to the ExCeL Centre in London's Docklands in 2013, its current venue. Bett celebrated its 30th anniversary at the 2014 show, which attracted 35,044 visitors from 113 countries. Educational technology is defined by the Association for Educational Communications and Technology as "the study and ethical practice of facilitating learning and improving performance by creating, using, and managing appropriate technological processes and resources".